■Use advanced 6th generation DSP and full digital control technologies to realize higher system stability. 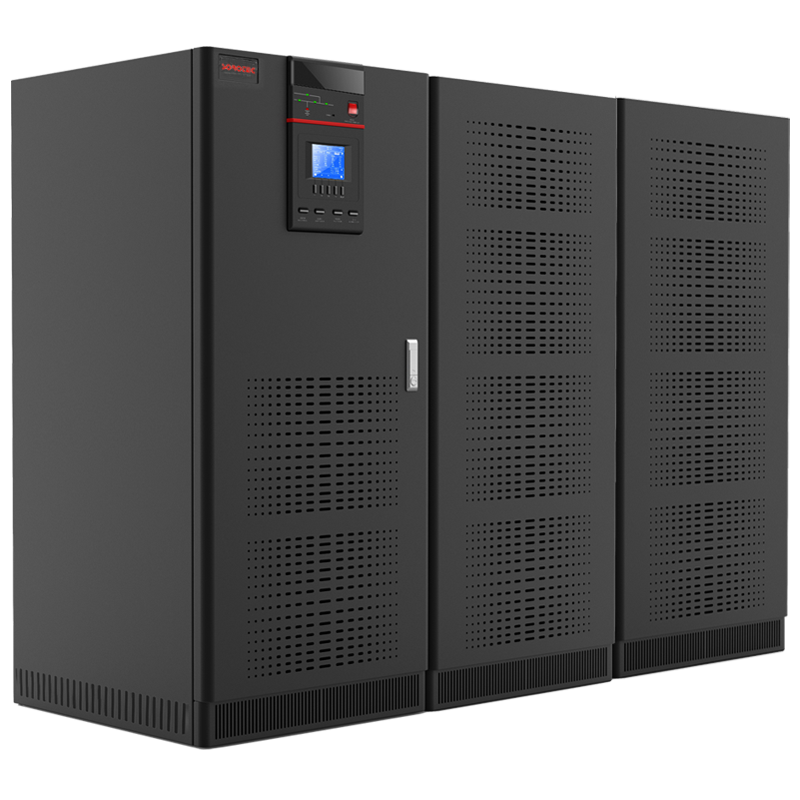 ■Output power factor is 0.9, carrying capacity than conventional UPS with 10% above, as users reduce investment cost. 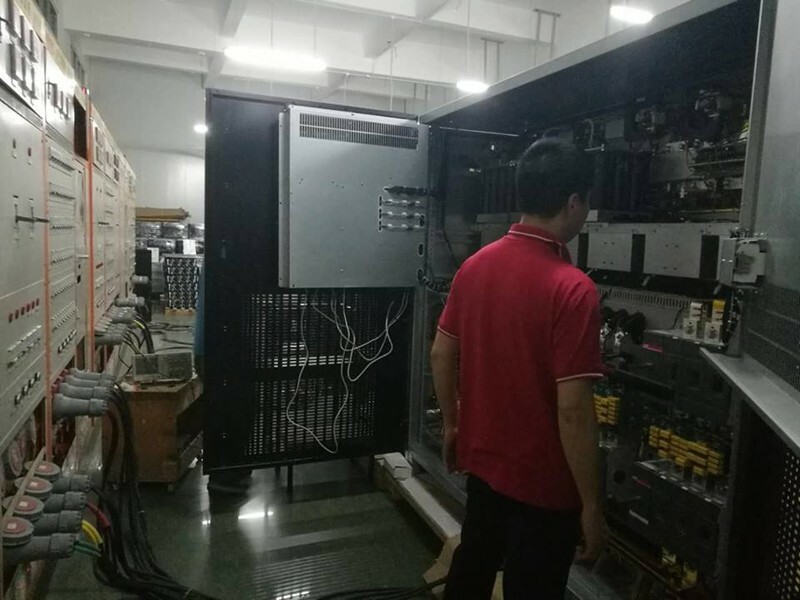 ■Advanced distributed active parallel technology can realize parallel operation of 6PCS UPS units without the need of centralized bypass cabinet. ■6-inch extra large LCD that can display 12 language ( Chinese ,English,Russian,Spanish,French and so on). ■Extra wide input voltage and frequency range make it adapt to severe power grid environment. ■Intelligent battery management maintains battery automatically to prolong the battery life. ■Standard input/output filter improves the system EMC performance. ■Extra strong capability to withstand output overload and short circuit, ensuring the system stability and system safety under extreme conditions. ■Layered independently-sealed ventilation channel and re-dundant fan, circuit boards with protective paints and a dust filter embedded make it highly efficient to dissipate heat and protect the product effectively under severeenvironment. ■Online double transform structure,doulbe DSP control technology. 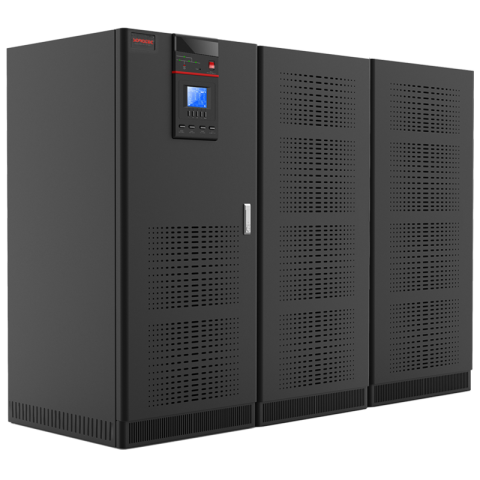 ■GP9335C series double conversion online UPS Using real online double transform structure.This architecture is currently the best to solve the power structure. The framework can almost completely solve all the power problems, such as power utility high and low voltage, voltage instantaneous fall, reduce oscillations, high-voltage pulsed, voltage fluctuation, surge voltage, harmonic distortion, clutter interference, frequency wave power supply problems.Providecontinuous, stable and pure sine wave power for the load. ■Adopt double DSP high speed digital signal processing chip collaborative central CPU microprocessor common to the system control, feedback, measuring, display, communication etc for all-round real-time processing, and make the system parameters keep the same when en-vironment (temperature, humidity, noise, etc.) changes.Even in the input signal distorted, can also provide accurate current, voltage, frequency and waveforms output. This technology has powerful control functions, thus realizing the computer system’s comprehensive power management. Inverter power with a strong output overloads capacity, achieve “inversion state priority ” thinking.As we know, to measure the reliability of UPS power supply, one important indicator of the level that’s strong anti-output overload. This means that when user put large non-linear load and form transient surge overload output situation, not only ensure the UPS inverter is intact, but will not overload the inverter output due to poor Bypass switch AC power supply situation. 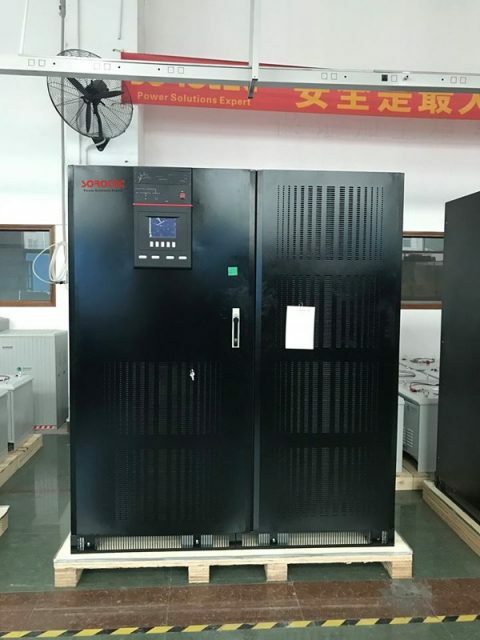 The reason is that when the double conversion online UPS power supply in the implementation of the inverter AC bypass switch operation period, the City regulator may not have a r egul ated power s uppl y and i nv er ter power output characteristics of the transient voltage difference between too large to damage the UPS. ■three-phase work, the output current is limited to 160%nominal output current, 5 seconds. ■Single-phase operation, the output current is limited to 290% nominal output current, 5 seconds. 1.City electricity utilization rate is high, can be more than 98%, but only limited to linear load. 2.Input power factor and input current harmonic depending on the nature of the load, for nonlinear loads. The input peak non sinusoidal current large, input power factor is low, no loss of power, the input current harmonic of power grid pollution shortcomings. 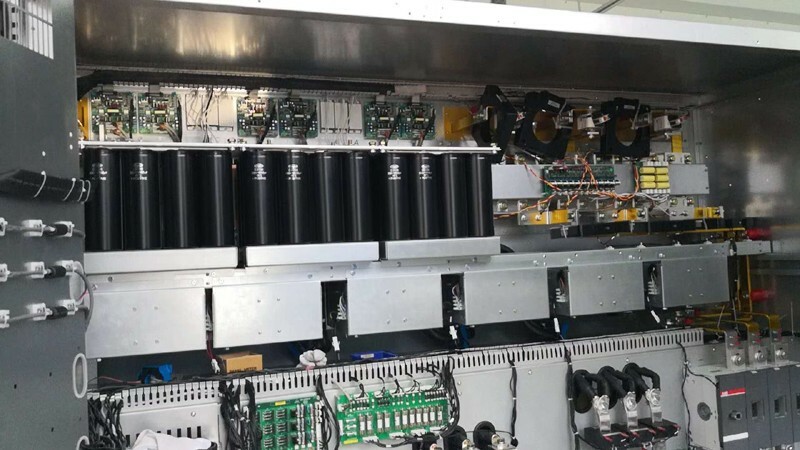 3.Output voltage stability, frequency stability is poor, but better than the reserve type. 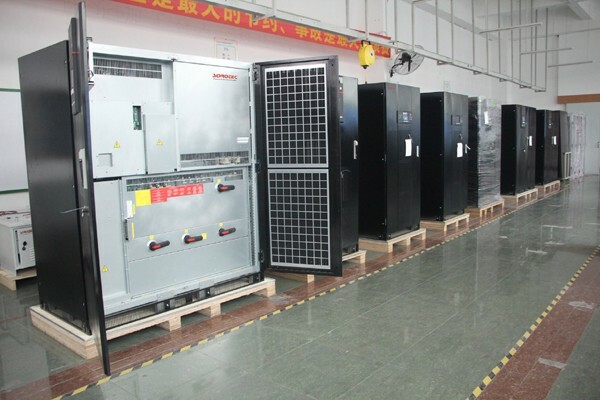 4.Inverter is in a hot standby state, and the output voltage spike is suppressed. 5.The power interruption, switch to the battery power supply, switching time is generally less than 4ms.